Moves comes sooner than originally announced. As HBCU Gameday reported last week, Dr. Karrie Dixon is officially taking over as the Elizabeth City State Chancellor ahead of schedule. In a press release issued on Monday, the University says Dixon is now in charge while Dr. Thomas Conway will remain in an advisory capacity until his May 31 retirement. Dr. Dixon has co-chaired ECSU’s Working Group Phase 2: A New Direction, since October 2017. After Conway’s retirement announcement in February, Dixon was appointed Interim Chancellor by University of North Carolina System President, Margaret Spellings. 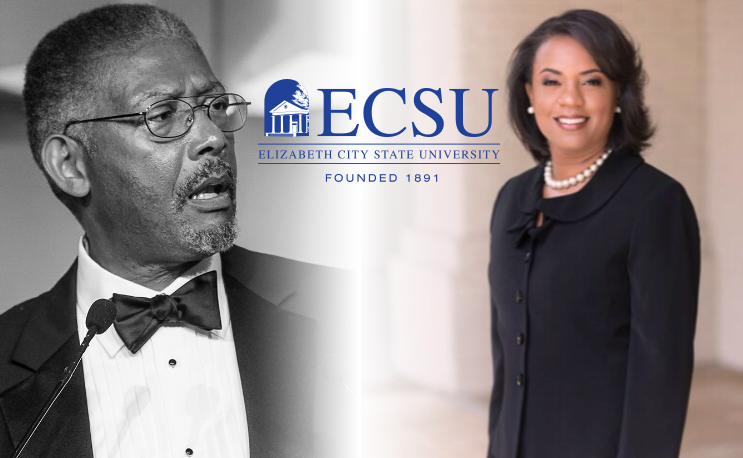 “Working with Dr. Conway to establish a solid foundation for ECSU’s future has been a positive and productive experience. I am grateful to him and the senior staff for the hard and important work, and I am excited about the university’s new direction and its very bright future,” said Dixon. Last week Conway completed the dismissal process of the top three figures in the school’s athletic department. Athletic Director Derrick Johnson and men’s basketball coach John Hill were dismissed just one month after former football coach Earnest Wilson was fired. The move was seen by some as clearing the path for Dixon to put her own key staff members in place for the athletic department. However, sources tell HBCU Gameday that leadership was a problem under Johnson’s administration and that some previous actions from within the athletic department could come back to haunt the university in the future. The source went on to say that Conway knew about these supposed issues but declined to replace Johnson until apparently forced to do so by the Board of Trustees. Dixon has been a senior administrator for the UNC System since 2008. She was named the Vice President for Academic and Student Affairs for the system’s 17 institutions in 2014. Dr. Dixon has a master’s degree from the University of North Carolina at Greensboro. She holds an undergraduate and doctorate from NC State. Don't look now but the Vikings are 3-1 against CIAA competition. Elizabeth City State cleans house in Athletics, but who’s calling the shots?